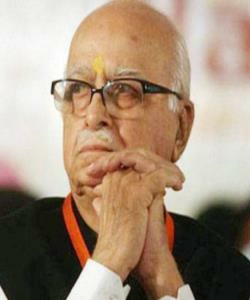 Advani Once Again In Demand? The founder member of BJP, instrumental in bringing the party to this stage, was side-lined after 2014 elections. For a dignified exit, a Margdarshak Mandal was formed by BJP and all the senior leaders were adjusted. All the leaders who learned politics from Advani, started avoiding him. They never wanted to come in same frame, if by chance, during rituals in the Parliament House come close. The house, which was witnessing long queue, was seen very seldom open main gate to receive guests. Sources say, now confidantes of top leaders of BJP are visiting his house frequently to get blessings. But all is not well, Advani still not as busy as he was in spite of the demand due to upcoming elections. The best scene when Deepak Chopra, most trusted person in the kothi, will be seen busy on the phone talking to callers that "Sahab is very busy, not possible to connect and for another few days it will be difficult to adjust their programme because he is having many programmes to attend," and so on.. No one knows when time will change and Chopra's words will become a reality.